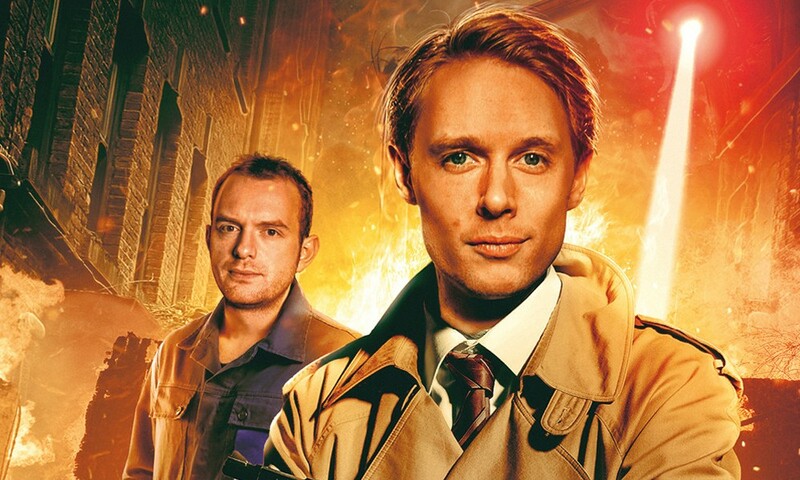 Big Finish have followed up on the release of last year’s Torchwood One: Before the Fall with another prequel box set from prior to the Battle of Canary Wharf. This time it’s Torchwood One: Machines, featuring the long-awaited return of, um, WOTAN. WOTAN was the computer villain of 1966’s Doctor Who: The War Machines, and I have a sneaking suspicion that literally no-one was demanding its return. Brought into a modern(ish) setting, WOTAN is a fairly generic villain, an evil computer mastermind like so many others, and without the personality of, say, BOSS from 1973’s The Green Death. It kind of works here because the stories get some mileage out of the fact that WOTAN is out of date — its henchman in the first story, for example, keeps reminding it that it doesn’t need a dastardly plan to network all the computers in the world this time around, because someone has already done that. I chuckled. But WOTAN is the weakest part of each story in which it is involved, and the story that involves it the most, Matt Fitton’s The Law Machines, is the weakest story in the set. The Law Machines is a fairly generic runaround with some fairly generic ideas. The Mayor of London has rolled out a new set of peacekeeping robots based on the War Machines design, and, quelle surprise, they go wrong. Torchwood — here represented by Yvonne Hartman, Ianto Jones, and Tommy Pierce — have to stay alive long enough to fix things. It’s a survival thriller, leaping from peril to peril until it all wraps up. Competently executed, but nothing special. The second story is actually a flashback; Blind Summit reveals the untold story of Ianto Jones’s first Torchwood mission, as written by the actor who plays him, Gareth David-Lloyd. It’s an enjoyable story — we learn some more about Ianto, and the young, panicky, unassured Ianto, jobless and friendless in London, is often hilarious. But like the best Torchwood stories, it’s also dark, as we get a strong sense of how Yvonne is willing to use people to achieve her goals. Ianto’s introduction to Torchwood was not a straightforwardly moral event by any means. My favourite story was the third, 9 to 5 by Tim Foley (late of this parish). One of the unique things about Torchwood One under Yvonne as opposed to Torchwood Three is its office culture vibe; Before the Fall capitalised on that, and so does this story, as Yvonne and Ianto unravel a dastardly plot by a temping agency. There’s a great Doctor Who idea here — a very literal interpretation of “temporary worker” — and the story is funny, dark, and character-driven all at once. The heart of the story is Stacey, a temp played by Niky Wardley (Tamsin in the Eighth Doctor audios) who finds her day disrupted when Ianto is escorted out by security while she’s getting a cappuccino. It’s a great riff on the classic Russell T Davies formula of an everyday woman living her everyday life when an extraordinary stranger turns it all upside down. Jane Asher also turns in an excellent performance as Elaine, the manager of the company in question. 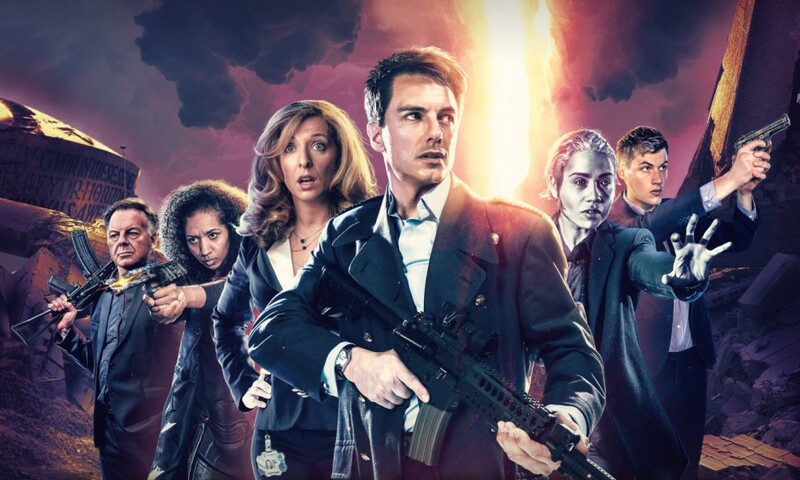 The thing that anchors the Torchwood One range is the same as the one that anchors Torchwood One itself: Tracy-Ann Oberman as Yvonne Hartman. Yvonne is as magnificent as ever here: heartless, ruthless, funny, intelligent, and regretful. Almost every episode has some kind of great Yvonne moment, be it her blasé reaction to a key death in The Law Machines, or her secret visits to Ianto in Blind Summit, or her having to pretend to be a temp in 9 to 5, which causes immense grousing at the idea of untucking her shirt. She’s an absolute delight to listen to throughout, and I hope we get many more Yvonne stories. This strength is also a weakness, though, in that each story has to contrive a reason that Yvonne, director of Torchwood One, would get herself involved in a field mission. Some are better than others — in The Law Machines, all of her field agents are supposedly killed offscreen. Which seems such a bad instance of leadership it’s hard to imagine how she’d continue in the position, and basically no-one even mentions that such a mass slaughter has happened. Probably 9 to 5 pulls this off best, by just not explaining it. David-Lloyd is good as Ianto as always; I think I might actually like him more here than in Torchwood Three. The only other returning character is Tim Bentinck as Tommy, who appeared in Before the Fall as Torchwood One’s technical wizard, who’s unrepentantly old-fashioned. He’s good fun, though I question why he turns up in Blind Summit leading a strike force. I get that there are always cast limitations, but in Machines it’s particularly obvious that the supposedly massive Torchwood One consists of about three people. It would be nice if more characters from the first set had returned, or if various Torchwood One members from the television programmes appeared, instead of just being mentioned, to give the organisation more of a sense of scale. But that’s kind of a quibble — when you’re listening to Tracy-Ann Oberman complain that a government office is inefficient because it did a bad job at capturing her, you don’t care about the rationalisations it takes to get there. 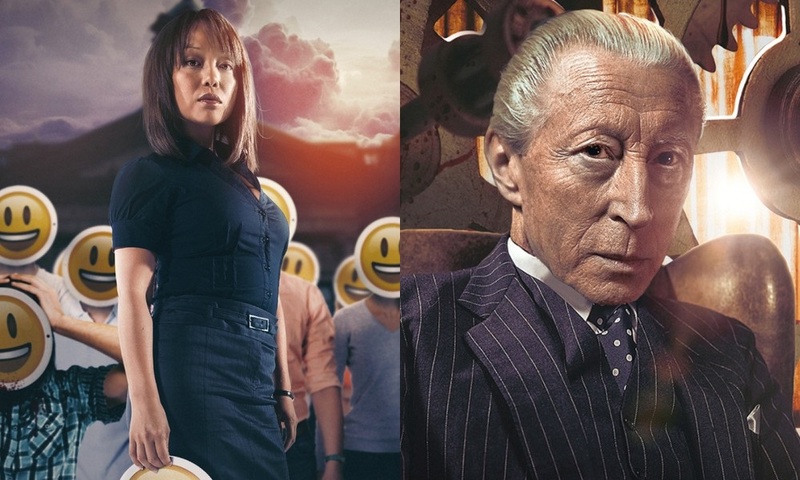 Pointless reappearance of WOTAN aside, Machines is a highly enjoyable follow-up to Before the Fall, and I hope for more Torchwood One stories to come. Torchwood One: Machines (by Matt Fitton, Gareth David-Lloyd, Tim Foley; starring Tracy-Ann Oberman, Gareth David-Lloyd) was released by Big Finish Productions in July 2018.